Visit Bon Temps, the small Louisiana town that Sookie calls home, with a detailed map created by Charlaine herself, and learn the characteristics of the supernaturals who live there: vampires, two- natured, and fae. Examine all the branches of Sookie's family tree. And eavesdrop on the private conversations between rival vampires Eric and Bill. 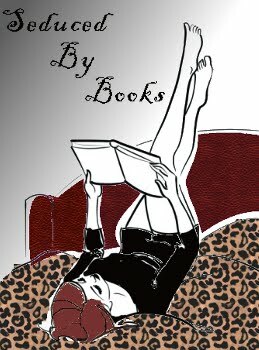 Companion books are coming out more and more, I think that if done right, they give those who love the series some fun that makes the world more ‘real’ to the reader. I especially like when the companion book contains a short story to go along with it. You get more out of it. So although this comes out after Dead Reckoning – I think that this should have come out before, because the short takes place before Dead Reckoning. The short was fun though, and we know we all have a place in our hearts for Sam. I will say those ‘private’ conversations between Bill and Eric are classic – I couldn’t wait to get to each one – I admit, I skipped to do them all in a row and then went back to the in between stuff. I was on a roll and couldn’t stop. Interviews with Alan Ball and Charlaine Harris are done well. 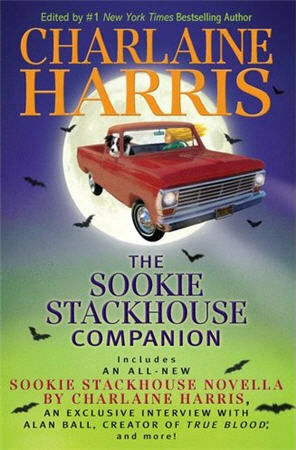 Overall it was cute, goes right along with the amusement we get from the Sookie Series.